Two ministers from the right-wing Jewish Home party and another from the ruling Likud party congratulated former US ambassador to the UN John Bolton on Friday for his appointment as US President Donald Trump’s new national security adviser. 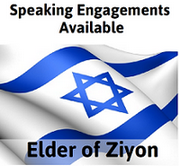 Environment Minister Ze’ev Elkin of Likud said Bolton was “not unknown to Israel. US President Donald Trump’s decision to nominate hawkish former diplomat John Bolton as his national security adviser brings a figure known for pushing for pre-emptive strikes on burgeoning nuclear powers as well as skepticism toward Palestinian statehood into the administration’s powerful inner circle. On Tuesday, Trump announced on Twitter that former US Ambassador to the United Nations John Bolton would replace H.R. McMaster as his chief in-house adviser on national security issues. McMaster had been expected to leave later this year, but Bolton’s nomination shocked Washington. A vocal advocate of the Iraq war, he has also advocated preemptive strikes against North Korea and war with Iran. With the White House preparing to unveil its Mideast peace plan in the near future, the ascension of Bolton, who has declared the two-state solution dead, could further chill the administration’s chances of getting moribund negotiations off the ground. While McMaster was not a main player in the Israeli-Palestinian portfolio during his tenure, national security advisers past have been deeply involved. In the Obama administration, Susan Rice and Tom Donilon, both held that role and spent substantial time trying to forge a peace agreement between the sides. A senior Palestinian official on Friday slammed US President Donald Trump’s choice of John Bolton as his new national security adviser. Trump on Thursday announced that Bolton, an Iran hawk and former United Nations ambassador, would replace army general H.R. McMaster. 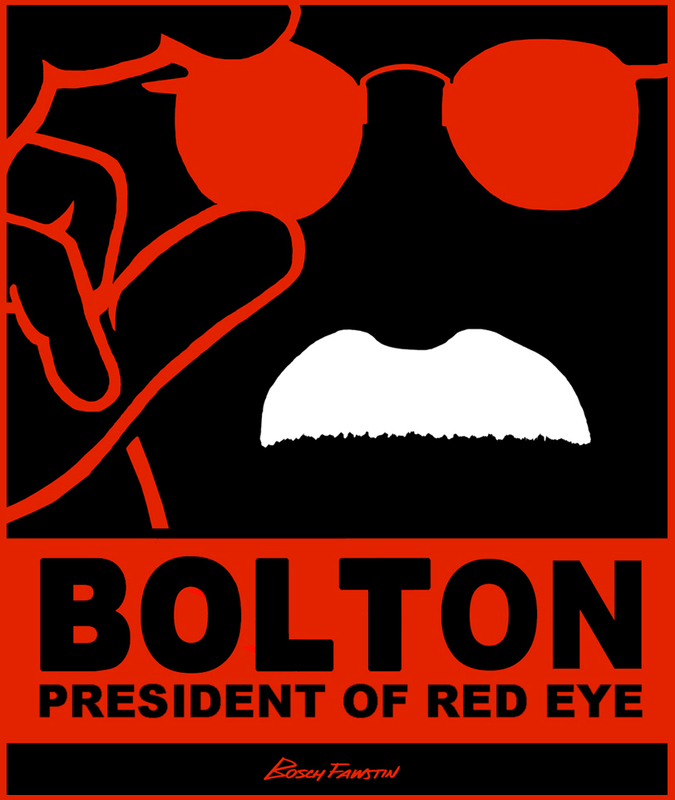 Bolton is known for his strong support for Israel and hostility to the Iranian regime. He has previously said the idea of a two-state solution to the Israeli-Palestinian conflict is dead. “This man has a long history of hostility to Palestinians, dating to when he was at the United Nations, where he was protecting Israeli immunity,” senior Palestinian official Hanan Ashrawi told AFP, referring to US vetoes of UN resolutions targeting Israel. Yisrael Medad: What Does John Bolton Say About Israel? In recent weeks, there have been reports of an initiative launched by social activists in the Gaza Strip, in collaboration with Hamas and the Palestinian factions, for Palestinian refugees in all areas bordering on Israel, to march en masse towards the border, erect there "Return Encampments," "nonviolently breach" the border into Israeli territory, and demand to actualize the Palestinian right of return. The organizers of the initiative, dubbed "The Great Return March," have called it a nonviolent move for implementing the Palestinian refugees' right of return, as part of a general initiative in countries bordering Israel. However, some have raised questions about the usefulness of these mass marches, because other, similar campaigns in the past have failed to achieve results. The leading factions involved in the initiative are Hamas, Palestinian Islamic Jihad (PIJ), the Popular Front for the Liberation of Palestine (PFLP), and supporters of former senior Fatah official Muhammad Dahlan, who in 2011 was expelled from Fatah because he was a rival of Palestinian Authority (PA) President and Fatah leader Mahmoud 'Abbas. To date, there have been no official PA or Fatah announcements about this initiative. Hamas and the Palestinian factions have clarified that this initiative is part of the "popular intifada" in the struggle against Israel, which is an additional form of struggle. This is the first time that Hamas and the factions, which traditionally have based their activity on the principle of armed struggle and have been harshly critical of Fatah and the PA for engaging in political activity, have been willing to diversify their methods and include such forms of allegedly nonviolent political struggle. This paper will review reports on the Great Return March, and the discussion about it in online newspapers and social media. Gaza Strip Activists: "The Campaign Proves That The Descendants Of The Refugees Still Cling To Their Right Of Return"
The last few months have been characterized by a slow but steady heightening of security tensions in areas adjacent to three of Israel's borders, in contrast to the more geographically distant additional threat posed by Iran. The three areas in question are: 1. Gaza, 2. Judea and Samaria to whose issues one must add knifings and ramming attacks and 3. Lebanon, Syria and the developments involving Hezbollah, Iran and Russia. The clear and present danger presented by the escalating tension in those areas makes it imperative for Israel to raise its level of response, because continuing to retaliate on the response level of the past years does nothing to deter Israel's neighbors nor does it restore tranquility and security to Israel's population. Israel must take into account that war in the north will lead to escalation in Gaza, due to Iranian influence on Hamas and Islamic Jihad. Increased terror attacks in Judea and Samaria are also to be expected. Unquestionably, the next war will be a complex and far from simple test for Israel's military, civilian and political systems, but every Israeli must take into account the critical regional situation in which Israel strives to maintain its very life, a region where the weak find it hard to survive. Only a country which is militarily and economically strong, based on a unified society which believes in the justice of its cause, can deal with the Middle East's challenges – challenges whose tragic results we see in Syria, Iraq, Yemen and Libya. Only a nation that poses a clear threat to its enemies is left alone in this region, while weakness and fear encourage its enemies to see that those fears are realized and come to pass. In the Middle East, self control is seen as weakness, even if there are some naïve and war weary people in our midst who believe the opposite is true. Egregious security policies are a psychological state in which one side, the foolish one, acts in accordance with its own culture, conceptual framework and rationale, ignoring the culture, conceptual framework and rationale of the other side. To our eternal sorrow and detriment, Israeli decision-makers have been taking steps that absolutely suit our culture, concepts and worldview, while they ignore the fact that our neighbors behave in line with totally different and often completely opposite considerations in mind. The high price for foolish security policies is being paid by the unfortunate people living in the various areas of conflagration in our vicinity. It's about time our decision makers begin to react to the Middle East in the ways to which it is accustomed and by which it operates. The United Nations Secretariat said Thursday that Israel was liable for the damage caused to U.N. facilities in the Gaza Strip during the 2014 war with Hamas, and demanded restitution. No details were given as to the amount the U.N. was demanding as compensation. The Secretariat maintains that schools run by the United Nations Relief and Works Agency for Palestine Refugees were damaged in Israeli strikes carried out during Operation Protective Edge. Israel has presented ample evidence that U.N. and UNRWA facilities were used by Hamas to hide weapons and launch rockets at Israel. The Secretariat, however, has made no attempt to demand similar restitution from the terrorist group that controls Gaza. "Israel will take any action necessary to defend its citizens and foil any threat posed to their safety and security," Israeli Ambassador to the U.N. Danny Danon said Thursday. "Instead of making demands of Israel, the U.N. should ask Hamas for compensation, for using its [U.N.] facilities to harm civilians," Danon said. "It [the U.N.] should also investigate how time and again, a terrorist group, which uses Gazans as human shields, exploits these facilities for its own use," he said. It was not immediately clear which terrorism list the PA had in mind. The US State Department maintains a register of foreign terrorist organizations, and Interpol keeps a data base of foreign terrorist fighters. Last week Abbas launched a scathing attack against Friedman, hours after Friedman criticized the PA on Twitter for failing to condemn a pair of terror attacks over the weekend. The Israelis believed that if they [or American officials] spoke about the strike [after it happened], Assad might be forced to react to this humiliation by trying to attack Israel. If, however, we all shut up, he might do nothing—nothing at all. He might try to hide the fact that anything had happened. And with every day that passed, the possibility that he would acknowledge the event and fight back diminished. That had been the Israeli theory, and the Israelis knew their man. We maintained silence and so did Israel—no leaks. As the weeks went by, the chances of an Israeli-Syrian confrontation grew slim and then disappeared. Syria has never admitted that there was a reactor at the site. . . .
Two final points are worth noting. First, in May 2008, Turkish-mediated peace talks between Israel and Syria were publicly announced in Istanbul. The discussions had begun secretly in February 2007, and obviously had continued after the Israeli strike on [the reactor]. It would appear that the strike . . . made the Syrians more, not less, desirous of talking to the Israelis because it made them afraid of Israeli power. It also made them more afraid of American power until we undermined our own position, which is the second point. A very well-placed Arab diplomat later told us that the strike had left Assad deeply worried as to what was coming next. He had turned Syria into the main transit route for jihadists going to Iraq to kill American soldiers. From Libya or Indonesia, Pakistan or Egypt, they would fly to Damascus International Airport and be shepherded into Iraq. Assad was afraid that on the heels of the Israeli strike would come American action to punish him for all this involvement. But just weeks later, Assad received his invitation to send a Syrian delegation to [a] big international confab [organized by] then-Secretary of State Condoleezza Rice, the Annapolis Conference, and according to the Arab envoy, Assad relaxed immediately; he knew he would be OK. . . .
First, Israel should increase the Palestinian Authority’s breathing room by transferring to it some of the approximately 60 percent of the West Bank under complete Israeli administrative and military control. Second, Israel should help construct a network of bridges, tunnels, and roads connecting PA-governed areas and over which the PA would exercise control. Third, Israel should cease expansion of settlements situated outside of the Jerusalem neighborhoods and the large blocs that will remain part of Israel under any conceivable agreement. And fourth, Israel should advocate changes to the Paris Protocol (a part of the Oslo Accords signed in 1995 that regulates economic relations between Israel and the PA) that promote Palestinian economic independence. None of these steps . . . requires a peace treaty. Moreover, [as Goodman puts it], “there would be little consequence for Israeli security, because the Israel Defense Forces would retain a presence on the ground and the work of the Shin Bet security service would remain unaffected.” At the same time, “such actions would indeed shrink the Palestinians’ dependence on Israel and vastly minimize their sense of humiliation.” . . . Abandoning the delusive quest for a comprehensive solution would enable Israel to advance its interests as well as those of the Palestinians. . . . Particularly in the face of persistent PA defiance, the president’s team should assist Israel—and the Palestinian people—in achieving more by seeking less. "Israel has been taking a strong stand, and will continue to take a strong stand, against the conversion of Syria into a satellite state of Iran, which would be used as a launching pad for aggression against the northern part of my country. As a result, we are prepared to take measures, and active measures, against the supply of advanced weaponry to Iranian proxy forces like Hizbullah, which could alter aspects of the military balance." "We have also been concerned about the deployment of a Shiite expeditionary army under Iranian command, made up of Iraqi, Afghan, and other troops, along Israel's northern border, which would be backed by Iranian air and naval bases, which we understand are being planned at the present time." Gold added: "It's important to stress that from the point of view of Israel...the Golan Heights will remain under Israeli sovereignty." At that point, Vitaly Naumkin, President of the Institute of Oriental Studies at the Russian Academy of Sciences and Advisor to President Putin on Syria, said: "What you said about the Golan contradicts international law." Gold responded: "Our claim to the Golan Heights is not in violation of international law....Great international lawyers, after the 1967 Six-Day War, drew a distinction between wars of self-defense and wars of aggression. Taking territory in a war of aggression is a violation of international law. Asserting your rights to territory in a war of self-defense is a whole different story." "The Soviet Union sought to have Israel branded as the aggressor after the Six-Day War. They tried it in the General Assembly, but they failed. They tried it in the Security Council, but they failed because it was generally understood by the international community that Israel was acting out of self-defense, and therefore our claim to the Golan Heights is on very strong legal grounds....We are not oblivious to international law. We seek to fulfill international law." Senior Trump administration officials reached out to Palestinian Prime Minister Rami Hamdallah and director of Palestinian intelligence General Majid Faraj in letters last week after assassination attempts in Gaza nearly took both of their lives. The letters, written by Jared Kushner, President Donald Trump's son-in-law and senior adviser, and Jason Greenblatt, his special representative for international negotiations, mark some of the first known direct communications between White House officials and Palestinian Authority (PA) leadership since the president's decision to recognize Jerusalem as Israel's capital in December. The letters were obtained and published in full by The Jerusalem Post on Thursday, alongside a letter sent by Greenblatt to the family of Hadar Goldin, an IDF soldier slain in Gaza. That letter expressed the administration's commitment to pressure Hamas to return Israelis held in the strip as part of its larger Gaza reconstruction effort. Kushner and Greenblatt wrote to Hamdallah and Faraj that the administration still views the PA as the "responsible and responsive" party in a position to govern the coastal Gaza strip– "in cooperation with regional and international partners," the pair said. Of the various complaints made against Israelis, the worst has been the charge that the country is committing genocide. To wit: Nobel laureate José Saramago not long ago claimed that “what is happening in Palestine is a crime we can put on the same plane as what happened at Auschwitz.” While not every critic of Israel takes this line, enough influential academics and journalists have made similar claims, so that world opinion now judges Israel to be scarcely better than North Korea. But “genocide” isn’t merely a matter of opinion; it’s measurable. Massive empirical data about life in Israel and the Palestinian territories has been compiled by distinguished Israeli journalist Ben-Dror Yemini and his recently translated 2014 book Industry of Lies shows just how ludicrous the genocide charge is. Begin with life expectancy. At the end of the Six-Day War in 1967, when Israel took over the territories from Jordan, the average Palestinian in the West Bank and Gaza expected to live just 49 years, according to a U.N. report. In 1975, Palestinian life expectancy rose to 56; by 1984, it climbed to 66. Yemini notes that this is “a rise of almost seventeen years in longevity within seventeen years of Israeli rule.” Since 1984, Palestinians have lived an average of 75 years. That’s not only higher than the global average, but longer than the life expectancy in many Arab and South American countries—and even in some European countries. Israeli Arabs, meanwhile, have the highest life expectancy in the Muslim world. Infant mortality is another marker of genocide and happily it’s been declining in Palestinian life, having shown dramatic improvement since 1967. Also a happy statistic: the high birth and low death rates of Palestinians in Gaza put the territory near the top of the world in population growth. It is a strange kind of “genocide” that creates the conditions for a population of people to flourish. But it isn’t just the Palestinian people who have flourished. Infrastructure has also meaningfully improved—most notably, Palestinian access to clean drinking water. Under Jordanian occupation, only 4 out of 708 Palestinian towns and villages in the West Bank had modern water supply systems and running water. When asked by the interviewer who is to blame for the fact that there is no peace, Wallström at first laughed (! ), and said, “Do you really think I would place blame on anyone?” Then, of course, she proceeded to heap blame on Israel. Wallström was referring to the fact that the EU directly has been paying for the illegal construction of Palestinian buildings in Israeli controlled territory. When the Israeli authorities had the temerity to demolish the illegal buildings, the EU put them up again. 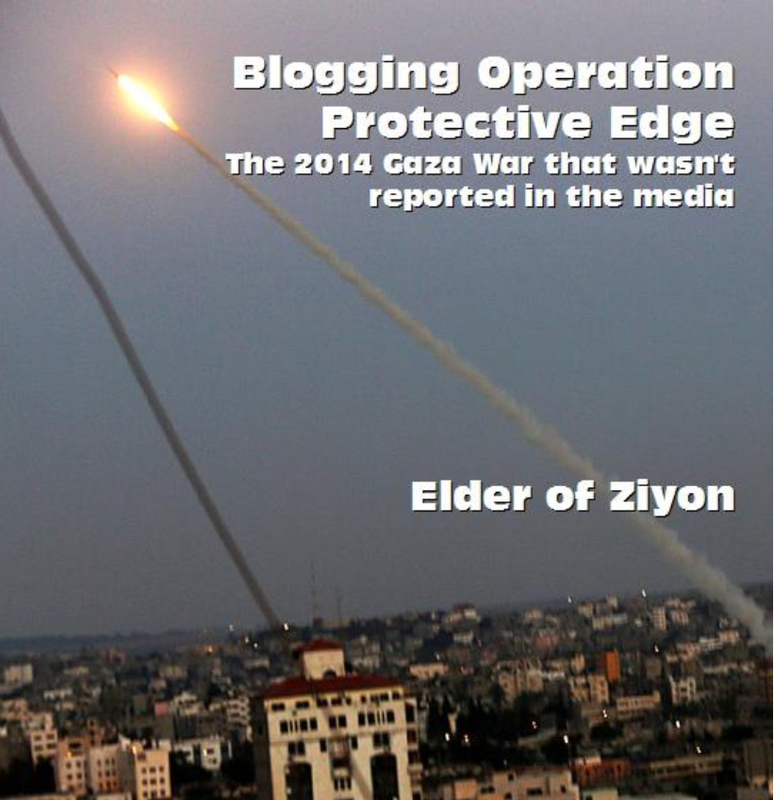 The Israelis tried to enforce the law again. The EU put them up for a third time. So: the EU sponsors illegal buildings which they know Israel will demolish, and then Sweden’s foreign minister declares that “more demolitions” are “hindering the peace process.” Can there be any greater chutzpah? But Foreign Minister Wallström evidently is not interested in the facts. She’s only interested in finding ways to incite the public against Israel. That’s the true mark of a demagogue. The UN Human Rights Council may vote on Friday to call for UN member states to halt the sale of any arms to Israel that could be used to violate international human rights laws. The draft text regarding a possible arms embargo will be brought up as part of five anti-Israel resolutions the council is expected to approve as it wraps up its month-long 37th session in Geneva on Friday. It was sponsored by Bangladesh, Bolivia, Chile, Cuba, Ecuador, Jordan, Pakistan, Venezuela and the Palestinian Authority. A similar resolution approved at this time last year did not mention arms sales to Israel or include any limitations on such sales. On January 12, when President Donald Trump last extended US sanctions relief on Iran, he delivered an ultimatum to the European signatories to the 2015 nuclear deal. They must agree to “fix the terrible flaws of the Iran nuclear deal” or he will refuse to extend US sanctions relief again on May 12, which would likely precipitate the unraveling of the entire nuclear accord. Since Trump’s January ultimatum, the US State Department has held several meetings with European leaders. The goal is to keep the nuclear agreement in place while at the same time tightening sanctions against Iran. Reuters reported last Friday that Britain, France and Germany, the three European signatories, have proposed fresh sanctions on the Islamic Republic. But not all of the Europeans share America’s concerns about the destructively destabilizing role played by Tehran and its proxies in the region. It turns out that the Germans are wary of being too hard on the Iranians and their allies. As The Jerusalem Post’s European Correspondent Benjamin Weinthal reported on Thursday, Berlin has rejected a US demand to designate the entirety of Hezbollah, both its military and political wings, as a terrorist organization, banned from Europe. Britain and France are, apparently, open to the idea. “Foreign Minister Maas has never made such a statement and will also never do so in the future,” a ministry spokeswoman told The Jerusalem Post. Gabriel attended a meeting of Muslim migrants in mid-December organized to combat antisemitism, after the outbreak of protests in Germany where Israeli flags were burned in response to the US recognizing Jerusalem as Israel’s capital. While discussing criticism of Israel, he told them that his visit to Hebron in the territories several years ago reminded him of “what was seen during apartheid.” Gabriel previously called Israel an “apartheid regime” in 2012, during a visit to Israel. Advocates of the BDS (Boycott, Divestment, Sanctions) campaign targeting the Jewish state frequently use the phrase "apartheid regime" to attack Israel. Nevertheless, according to an article by the Nuclear Threat Initiative last year, Saudi Arabia has made agreements with France, Argentina, South Korea and Kazakhstan regarding nuclear cooperation. “There is no credible evidence that Saudi Arabia has ever seriously pursued a nuclear weapon program,” the NTI wrote. Therefore, the stories about a “nuclear arms race,” are largely an illusion. There is no race. Iran has a sophisticated nuclear program at numerous sites which goes back decades. It has uranium mines, three uranium-enrichment plants and a nuclear reactor. Construction at the Bushehr 1 reactor in Iran first broke ground in 1975 but wasn’t opened until 2011. Iran has plans for numerous more reactors. Other countries’ nuclear programs generally took years to build a weapon. Pakistan’s began in 1972 and the first test was in 1998; North Korea’s took from 1963 to 2006; India’s from 1967 to 1998; UK’s from 1940 to 1952; China’s from 1958 to 1964; France’s from 1945 to 1960. Saudi Arabia is mostly paying lip service to the Iran nuclear arms race issue as a way to get the US to take the Iranian threat seriously. This may have backfired a bit because Saudi Arabia’s enemies in the region, including Iran and increasingly Qatar as well, have sought to portray the crown prince as stoking “instability,” “unrest” and removing “consensus” in the kingdom. But long before Saudi Arabia gets anywhere close to a nuclear weapon there would be serious ramifications in the region. Any concerns that countries might have with the threat would therefore only exist in a matter of years, if not a decade. Israeli leaders condemned Friday’s terror spree in France, during which an assailant claiming loyalty to the Islamic State killed three people, saying that countries need to unite to defeat the terrorists. “I condemn the brutal terror attack that took place in France. The civilized world must unite and work together in order to defeat terrorism. In the name of the Government of Israel, I send condolences to the families of the murdered and the French people,” said Prime Minister Benjamin Netanyahu. President Reuvin Rivlin also denounced the attack. “As we head into Shabbat our thoughts are once again with the people of France as they deal with another brutal terror attack. The whole free world must stand united and firm against terror: in Jerusalem, in France, and across the world,” he said. Three people were killed and two others injured by the attacker, who first went on a shooting spree before taking hostages at a supermarket in southern France. Security forces killed the gunman — believed to be a Moroccan who was on a watchlist of suspected Islamic extremists — after he carried out three separate attacks in the medieval town of Carcassonne and nearby Trebes. The Syrian government on Thursday accused Israel of conducting a clandestine operation, together with Turkey, to remove ancient artifacts from a synagogue near Damascus. In a formal complaint sent to the United Nations Security Council, Syria’s Ambassador to the UN Bashar Ja’afari accused the two countries of cooperating with “terrorist groups” to remove valuable items from the 2,000-year-old Jobar temple. “[My] Government wishes to transmit highly credible intelligence to the effect that the terrorist groups that are active in the area of Jobar, near Damascus, cooperated with the Turkish and Israeli intelligence serves to loot artifacts and manuscripts from the ancient synagogue there,” Ja’afari’s letter states. In response, Israeli Ambassador to the UN Danny Danon called the letter a distraction aimed at focusing the world’s attention away from the Syrian Civil War, which has left more than 500,000 people dead over seven years. “This is yet another attempt by the Syrian regime to distract attention from the atrocities it is inflicting on its own people,” said Danon. “The fact is, that while Assad mercilessly butchers women and children, Israel continues to provide humanitarian aid to wounded and displaced Syrians who arrive at our border,” Danon concluded. There is not much Hamas can do to withstand Abbas’ threats. However, it is rallying Arab, Islamic, and international sources to put pressure on Abbas to avoid the sanctions that would worsen the situation in Gaza. Additionally, Hamas is trying to drive a wedge between the Palestinian Authority and other factions in Gaza and to establish a “national front” that will include all Palestinian political entities, even though some of them are officially part of the PLO, headed by Mahmoud Abbas. It is very doubtful whether it will succeed in fulfilling this objective. Therefore, the Hamas leadership is hoping that the mass “return marches” it is organizing at the end of March to the Gaza border fence and the construction of giant tents for tens of thousands of Gaza “refugees” will change the situation completely. It may make it more difficult for Abbas to impose new sanctions on Gaza if tens of thousands of Gazans are clashing with the Israeli army at the border fence. Hamas not only intends to use the “return marches” to draw worldwide attention back to the problems of Palestinian refugees and the Israeli blockade on Gaza, but also to try to foil Abbas’ destructive plan to harm the two million residents of Gaza and to drag them into a new war with Israel. The terrorist group Hamas on Thursday announced the Sheikh Ahmed Yassin Award for Public Freedoms and Human Rights. According to the Hamas website, a large number of Arab officials and society leaders attended the award ceremony. “The award is aimed at encouraging the culture of public freedoms and human rights among researchers, mainly Palestinians,” Dr Nasim Yassin, a member of the Board of Trustees of the award, said at the ceremony. Yassin was a founder and prominent leader of Hamas, who was dubbed by Israel the “mastermind of Palestinian terror” and a “mass murderer.” The Israeli government accused Yassin of direct responsibility for a number of terrorist attacks on civilians, and of being behind dozens of suicide attacks by Hamas against Israeli civilians. Yassin was killed in an Israeli attack on March 22, 2004—hence the award launching on Thursday, 14 years later. While the quadriplegic sheikh was being wheeled out of an early morning prayer session in Gaza City, an Israeli AH-64 Apache helicopter gunship fired Hellfire missiles at Yassin and both of his bodyguards. 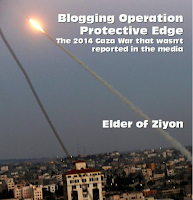 Before the attack, Israeli F-16 jets flew overhead to obscure the noise of the approaching helicopters. Yassin and his bodyguards were killed instantly, along with nine bystanders. Another 12 people were injured in the operation, including two of Yassin’s sons. Jordanian TV host Dr. Bakr Al-Abadi said that in 1967, “the Zionist entity gathered all the rats carrying the Bubonic plague in Norway” and released them in Egypt, where they harm crops and children. He also said that they smuggled “chemical fertilizers and rotten seeds” into Egypt, causing great damage to agriculture. “The clear goal is to annihilate the Arab world,” he asserted. The United States on Friday charged nine Iranians and an Iranian company with attempting to hack into hundreds of US and international universities, dozens of companies and parts of the US government on behalf of the Tehran government. Those tensions may ease since federal prosecutors have decided to drop charges against 11 of the 15 men charged…even though people caught the brawl on tape. Prosecutors first asked a judge in November to dismiss charges against four members of Mr. Erdogan’s security detail. Then they dropped charges against seven others on Feb. 14, the day before Secretary of State Rex Tillerson flew to Ankara for a meeting with Mr. Erdogan meant to ease tensions. Among those freed of legal jeopardy immediately before the high-level meeting was the head of Mr. Erdogan’s security team. U.S. officials said that no one pressured prosecutors to drop any of the charges for political reasons. Instead, the decisions were the result of investigators misidentifying some of the suspects and failing to develop enough evidence against others, according to the U.S. officials and an attorney who provided some free legal advice to defendants in the case. Mr. Tillerson, in his private talks with Turkish leaders, pointed to the decisions to drop charges—which hadn’t been publicized or announced—as an example of how the U.S. had addressed Mr. Erdogan’s grievances, according to administration officials familiar with the talks. Here’s the video if you need a reminder what these thugs did to the protesters. Just a reminder, we have the right to a peaceful protest in America. I know this is foreign under Erdogan’s dictatorship. Officials at the Ministry of Defense revealed today that it was Israel behind the 2007 airstrikes near Damascus that removed the threat of Nickelback proliferation in the region. Ministry spokesman Ben Gavni told reporters at a press conference this morning that in addition to destroying a North Korean nuclear facility in Syria that year, which the ministry confirmed yesterday, concurrent with the reactor strike the Israel Air Force conducted an operation to obliterate the Assad regime’s stores of Nickelback material. Defense experts with some knowledge of the operation compared it to Israel’s opening move in the 1967 Six-Day War, involving hundreds of sorties to conduct simultaneous airstrikes on Egyptian air fields that effectively destroyed the Egyptian air force and ensured Israeli air superiority for the duration of the conflict. The preemptive nature of the Nickelback stockpile strike bears similarities to that operation, they note, mainly in terms of setting the tone for any continuing hostilities.